There are quite a few methods to gain energy efficiency compliance with residential building, 6 star assessmenst are only one of them. 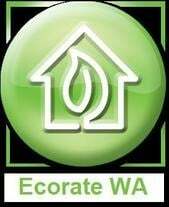 Here at Ecorate WA we use all of the available methods to ensure that not only will you be fully compliant but your project will also be constructed at the lowest cost to you! Like we say..."We're good for your home & your pocket"!